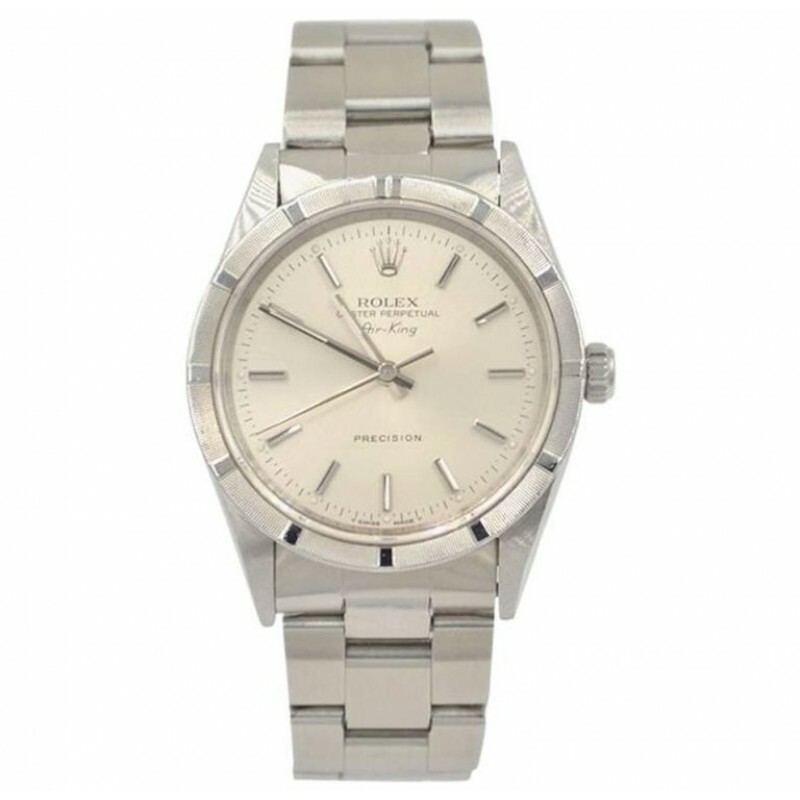 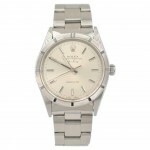 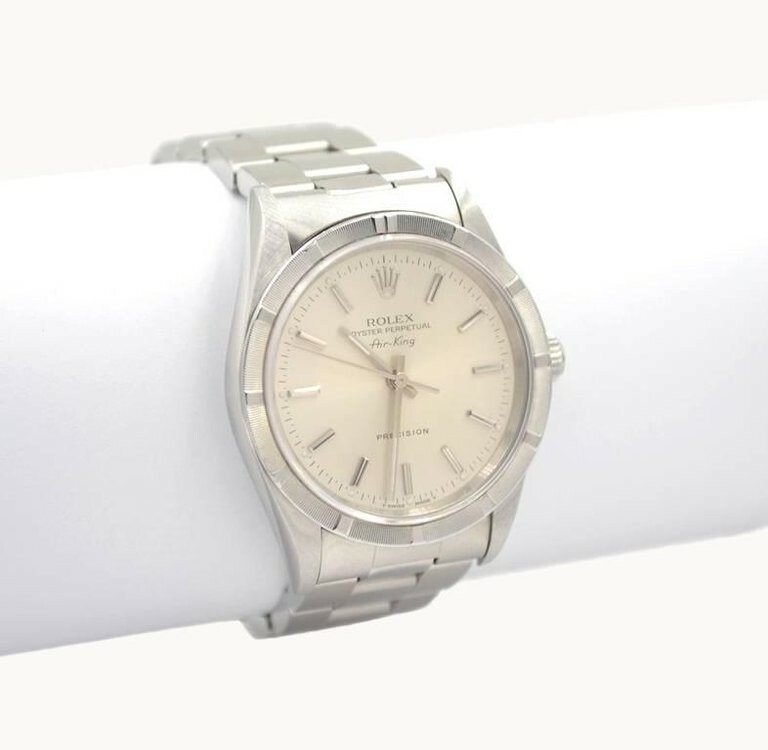 Rolex stainless steel Airking wristwatch, reference 14010 from 1996. 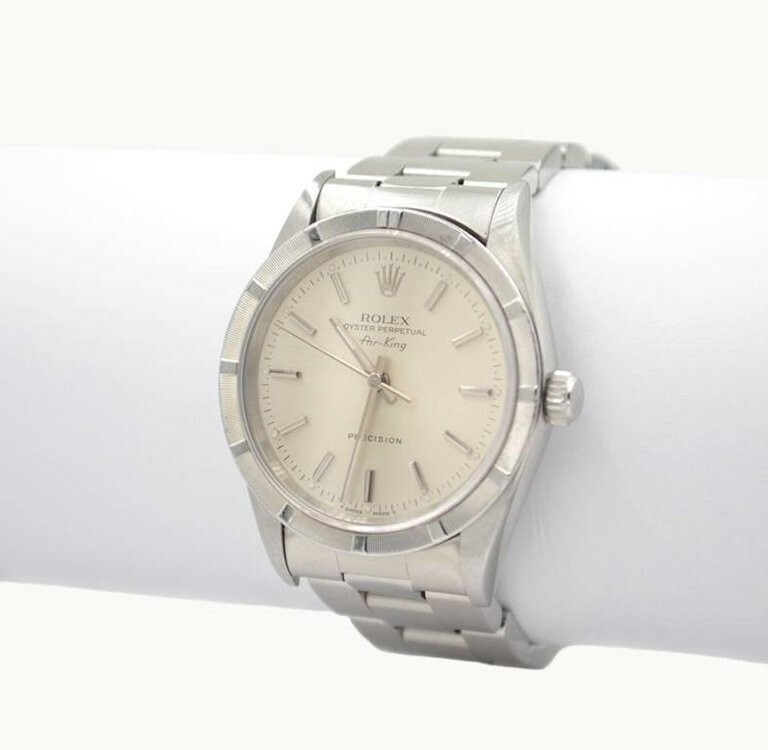 This classic Rolex watch features a stainless steel oyster case, with a stainless steel oyster link bracelet, sapphire crystal, engine turned stainless steel bezel, silver original stick marker dial, steel locking oyster crown. 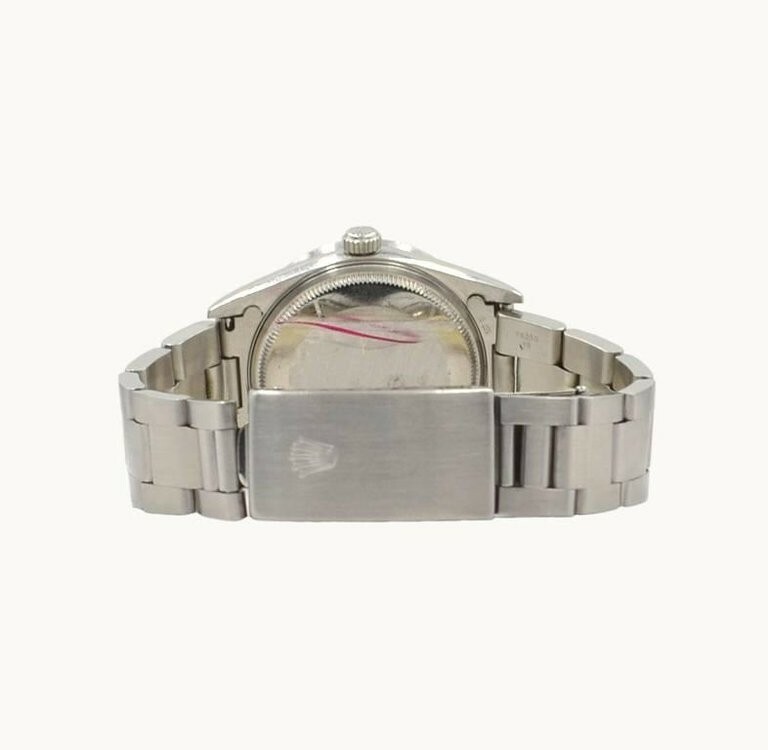 The case measures 34 mm in width. 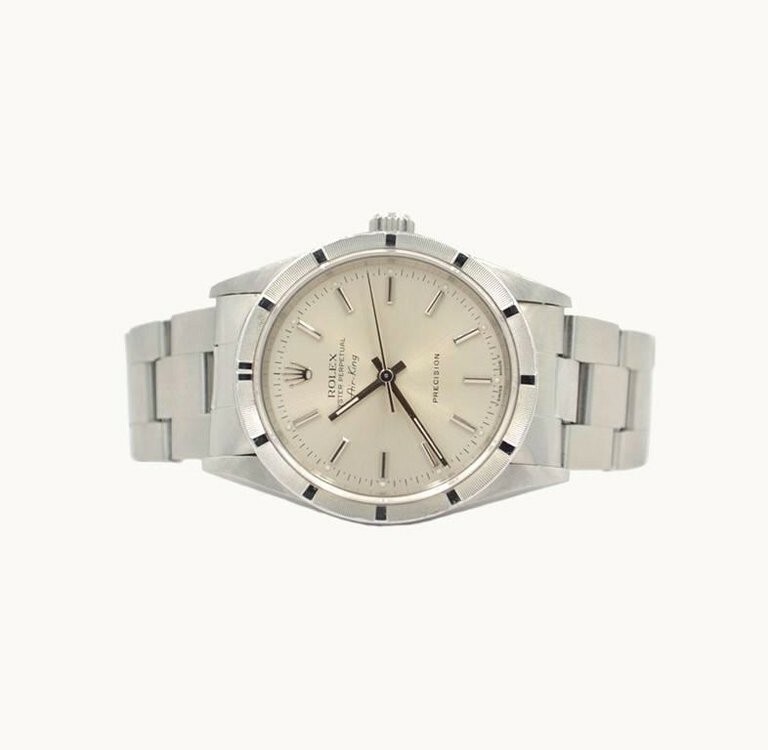 This watch includes a one year warranty from the time of purchase for accurate timekeeping.